From the original 1984 Gremlins movie! Any fan of the Gremlins movies knows the rules: keep them out of sunlight, don't get them wet, and never feed them after midnight. Follow them and you'll enjoy a cute and friendly little Mogwai. 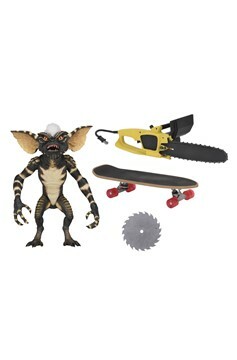 Fail, and you'll be faced with some pretty dangerous characters, like Stripe, the leader of the evil Gremlins. This Ultimate 7' scale figure (stands approximately 6' tall) features an all new head with Stripe's signature white mohawk and an all new body with over 25 points of articulation, including ears and jaw. 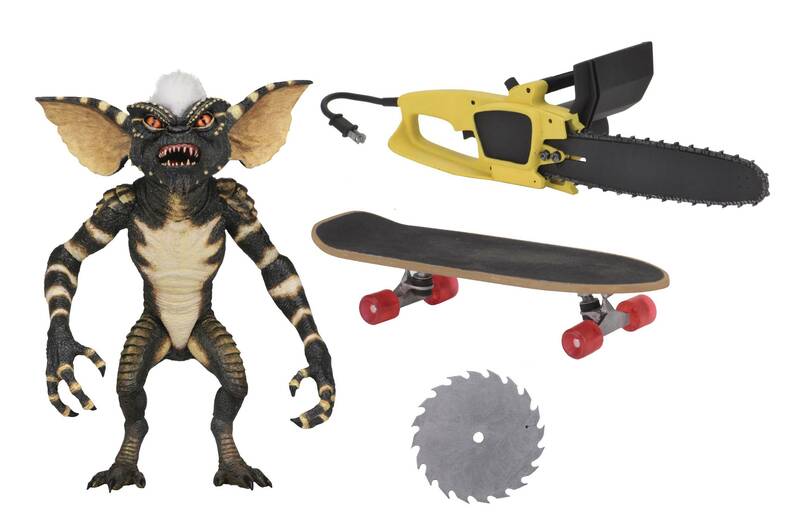 For maximum mayhem, he comes with chainsaw, skateboard with rolling wheels, saw blade, and interchangeable hands. Packaged in a collector-friendly window box with opening flap..